Planning a new look or perhaps just a trim? Find out which hairdressing salons are rated highest by Kiwis with our customer satisfaction ratings. For 2015, we are able to announce that Just Cuts has topped our customer satisfaction ratings, receiving our award for Most Satisfied Customers – Hairdressing Salons. If you’re looking good – then you’re feeling good; and your haircut is a large part of this. When you sit down in that salon chair, you are putting a lot of trust in the hairdresser – they are given complete control of how you look! That’s why you need a good salon that you can count on. When it comes to your appearance however, you probably don’t want to risk finding the right salon through trial and error. 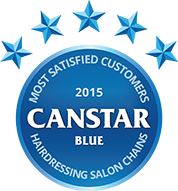 Fortunately, Canstar Blue has endeavored to help you find a quality salon by asking everyday consumers from across the nation what they think about the chain they most recently visited. This year, we are able to announce that Just Cuts has topped our customer satisfaction ratings, receiving our award for Most Satisfied Customers – Hairdressing Salons. From braids to bob cuts, ponytails to perms, it’s probably no secret that New Zealanders love their hair. In fact, according to our latest research, 41% of us regularly use styling products and 51% currently have dyed hair! There’s usually no harm in using products for your hair, so long as you don’t go overboard with it. You also need to make sure you’re regularly washing your hair with appropriate shampoo and conditioner for your needs (i.e. if you have dyed hair – use colour friendly products). With this in mind, our survey found that we are quite conscious of hair care and hygiene, with 35% claiming they wash their hair daily. How much do we spend on haircuts? Most hairdressing salons offer a number of services such as cuts, colouring and curls. But how much are we spending on this? $30? $40? Think higher! 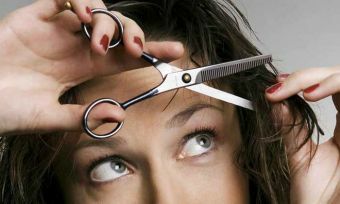 In fact, the average Kiwi spent a whopping $71.25 on their last haircut. Our research also found that men will spend only $37.41 per haircut on average, while women more than double this, an average of $85.06. No one likes a bad haircut, so it’s no surprise that quality and service are regarded as key drivers of satisfaction. Notably however, all categories were considered relatively important, so hairdressers need to provide a well-rounded service to keep their customers satisfied. Just Cuts opened their doors for the first time in 1990 and today claim to be the largest hairdressing network in the southern hemisphere, with 185 stores across Australia and New Zealand. Just Cuts do not take appointments, and instead serve customers on a walk-in basis. They specialize in ‘style cuts’, and offer a range of other services, including blow waves, shampoo scalp massage and dry offs. Rodney Wayne is a home grown company that claims to put client communication and quality service above all else. Today it operates 37 stores nationwide and claims to be the most recognisable name in hair care in New Zealand. Many of its stylists also operate on a professional level for photo shoots and fashion shows. VIVO Hair has 26 salons nationwide and promises a reliably brilliant experience every time. In fact, they further promise that if you don’t get the hair you love, you get your money back! Canstar Blue commissioned I-view to survey 2,500 New Zealand consumers across a range of categories to measure and track customer satisfaction. The outcomes reported are the results from customers within the survey group who have visited a hair salon chain in the past 12 months – in this case, 643 New Zealanders. Brands must have received at least 30 responses to be included. Results are comparative and it should be noted that brands receiving three stars have still achieved a satisfaction measure of at least six out of 10. Not all brands available in the market were compared in this survey. The ratings table is first sorted by star ratings and then alphabetically. 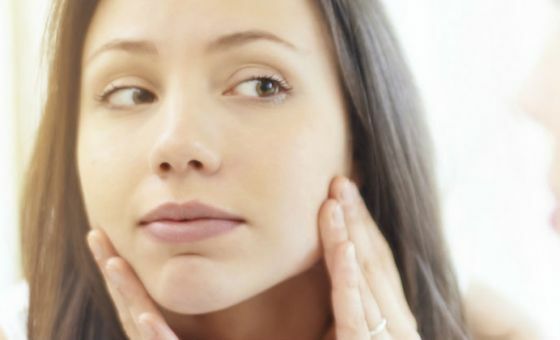 Effective home remedies for scalp irritation, from hair straightener burns or allergies, to hair products. Want to save money on a trip to the salon? Why not cut your own hair? We turned to YouTube to teach us how.